Home Property & Real Estate Will prices rise in Bangkok’s old condos? Will prices rise in Bangkok’s old condos? Prices of older condominiums in Bangkok are not moving upwards at the same rate as newly-launched projects and, in some cases, they have not moved at all, according to a new report issued by leading real estate management and advisory firm CBRE Thailand. In many developed Western markets, it is possible to value a property per square metre by location, but clearly in Bangkok this is not the case. 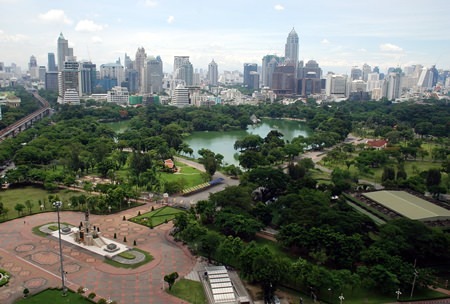 A purchaser looking at any location in the Thai capital will still see a huge difference in price per square metre for new off-plan sales compared to the asking prices at older properties. A good example is Sukhumvit Soi 24, one of the most popular condominium locations in Bangkok where a huge range of prices can be seen. “The oldest condominium on the street is Grand Ville House I, completed in 1981, where a current asking resale price is THB 60,000 per square metre. The development with the most number of units is The President Park (351 units), which was completed in 1994; its four towers have a current asking resale price of THB 60,000 per square metre. 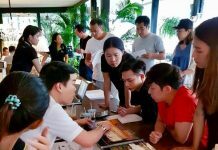 The most recently launched project on the street is Park 24, launched in Q4 2013, where a current average asking price for units for sale by the developer is THB 210,000 per square metre,” said Pornpimol Phuengkhuankhan, Director of Residential Sales Services at CBRE Thailand. Over 29,000 condominium units were completed in downtown Bangkok after 1989 up to the Asian Financial Crisis in 1997. Many of these buildings were not well designed, both in terms of layout and specification. Improving these buildings has been difficult and communal decision making by condominium co-owners has proved challenging, with many examples of disputes between groups of co-owners. A number of buildings completed in the second condominium cycle starting in 2002 have fared better. Ms. Pornpimol added that prices at Athenee Residence on Witthayu Road (completed in 2008) and The Park Chidlom on Chidlom Road (completed in 2007) have in many cases doubled to over THB 200,000 per square metre from the average launch price of around THB 100,000 per square metre in 2004. These prices are still below the achievable price for a similar sized project with a similar specification launched off-plan today in a similar location. For example, the initial asking price of Nimit Langsuan, launched off-plan in Q1 2015, was THB 300,000 per square metre. The low current price for projects completed before 1997 could be blamed on poor design, specification and maintenance, but for projects completed since 2002 the reason for prices not growing as fast as new off-plan sale prices is simply age; buyers, especially Thais, prefer new buildings. There are a number of factors that affect condominium prices including land availability in the city centre, possibility for redevelopment and the expatriate residential rental market, with rising rents pushing up resale prices of completed units. 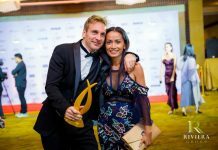 According to James Pitchon, Executive Director – Head of CBRE Research in Thailand, development sites have become more limited in the most popular condominium locations, resulting in less new supply in the areas. This may be good news for city-centre older buildings as it means less competition from new supply and high potential for price rise due to limited supply. Secondly, the balance between land prices and construction costs is changing. For the first time in central Bangkok, land price as a percentage of the total development cost on a sellable square metre basis now exceeds the construction cost element. In some cases, land prices have increased from 25% to 60% of the total development costs. CBRE expects land prices will continue to increase. Therefore, in the future, the value of some buildings could be greater if they were demolished and the land was sold for redevelopment. However, the Thai Condominium Act requires 100% agreement of all co-owners to dissolve a condominium. This means that we are unlikely to see purchasers speculatively buying units in old buildings in the hope that agreement can be reached to sell out to a developer. As noted earlier, another factor that may affect resale prices of completed condominium buildings is the expatriate residential rental market. Currently, there are relatively few older condominiums that can successfully attract tenants. The main reason for this is the overall image of the buildings and the poor state of decorations of the units’ interiors. To maintain rental rates and high potential for an increase in resale price, owners of old condominiums need to renovate the interior of their units and co-owners should agree to spend considerable sums on common area improvements to make sure their building is well-maintained and in good condition. CBRE believes there will be an increase in the popularity of older buildings as the price gap between old and new widens, but it will only be in a few attractive buildings which are capable of being sufficiently refurbished to a level where the cheaper price will overcome Thai buyers’ distaste for old buildings.